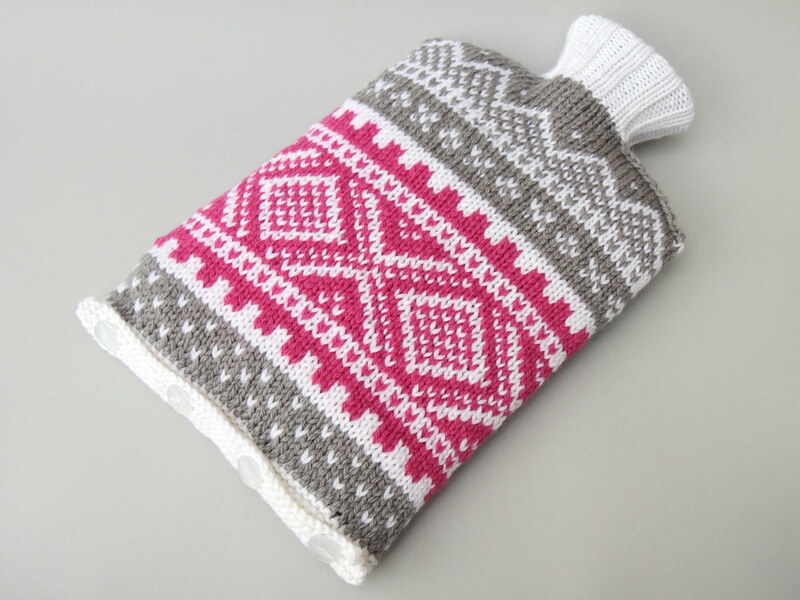 An ultra cosy hot water bottle cover. 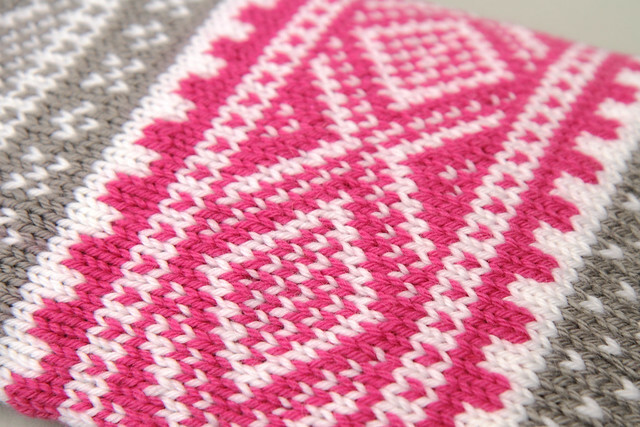 The traditional Norwegian fair isle pattern, normally found on ski sweaters, has been knitted in modern pink and grey colour scheme. Prefer to knit your own? No problem! 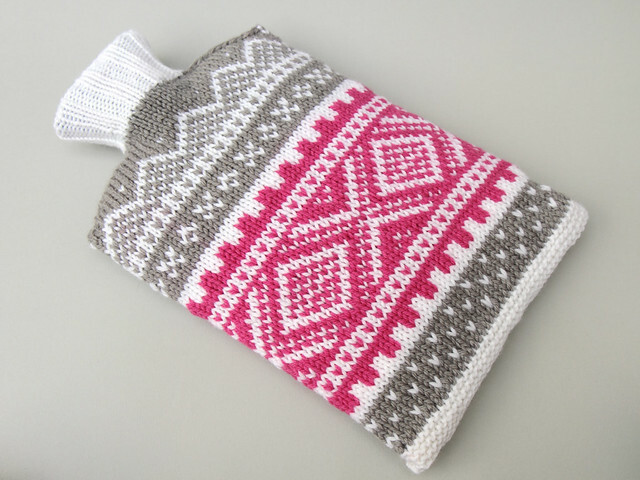 The Nordic Ski Sweater Hot Water Bottle Cover pattern is available to download for $6.